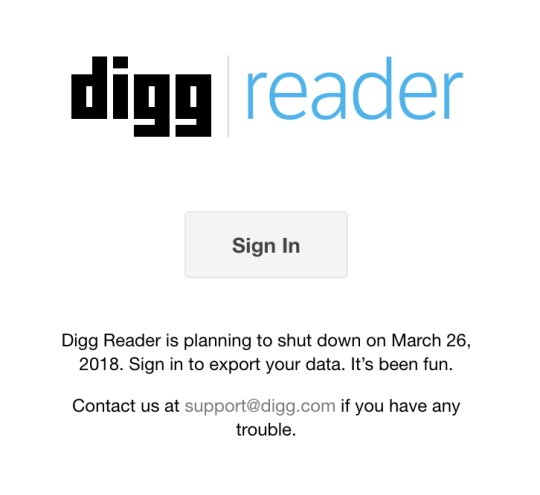 Today the news broke that Digg Reader is shutting down on March 28th 2018. MakeUsOf posted an article announcing this and mused about the “death of RSS”. 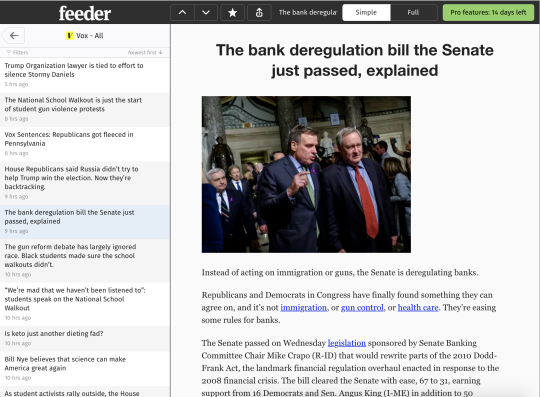 Many people have been making these claims ever since Google Reader shut down, but it couldn’t be farther from the truth. We, Feeder, are still growing and have never been stronger. 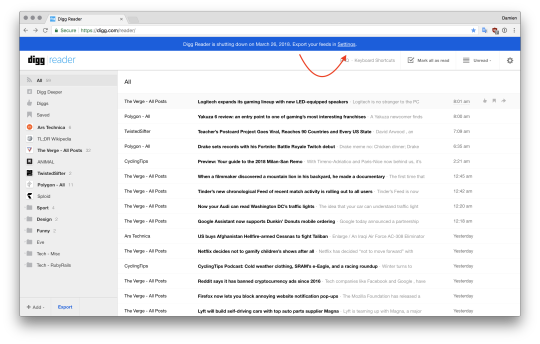 OPML files are the canonical way to move feeds and folders across different RSS Feed Readers. 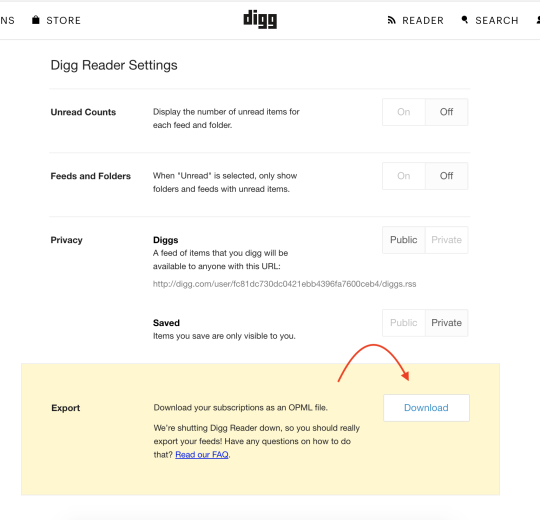 Click the Settings link in the blue banner. Step 4. Download your feeds and folders as OPML by clicking the “Download” button. Now you have your feeds and folders for safe keeping. Finding your new home will be as simple as creating an account. Click here to get started. Wait a couple of moments. Then your good to go! 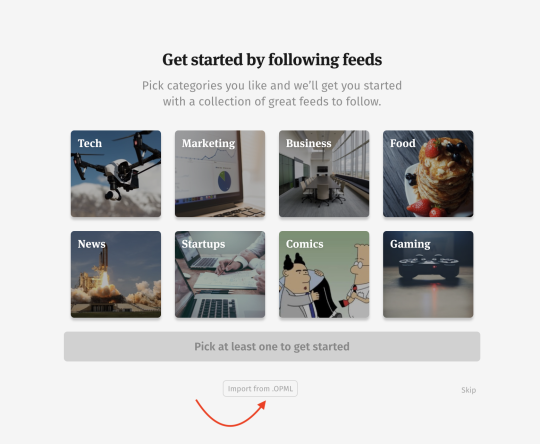 Now you’re free to get to know your new feed reader. 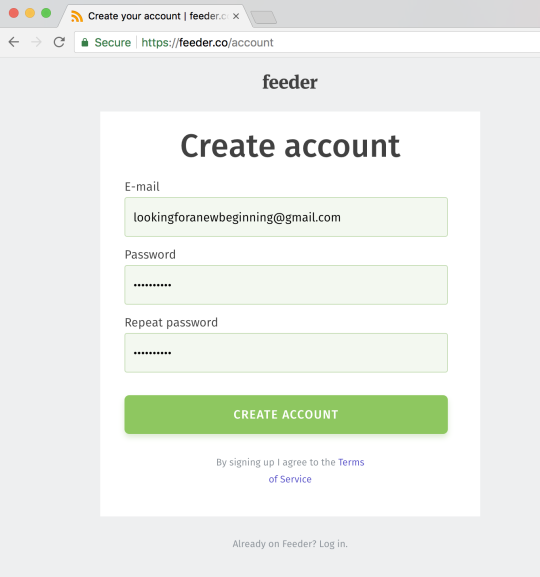 You might be asking yourself, why Feeder? 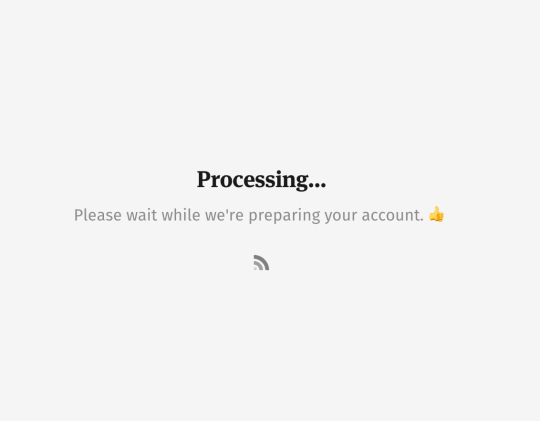 How can I trust that you won’t pull a bait-n-switch like Digg Reader, Google Reader, AOL Reader, or any other large corporation that made a big splash and ultimately didn’t pull through? Our vision and goal has always been to be the best experience in the platform we’re in, and always always build something that we ourselves use every day.